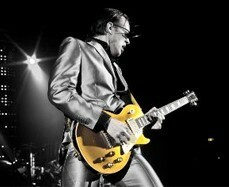 Going to see ‘jolting Joe’ Bonamassa at the Beacon tomorrow night. Pumped about this show. It’s amazing that I have every single one of this man’s albums and this is the first time I’ll be seeing him live. Really looking forward to a night of good blues. Joe’s always hot. Hope he’s totally on, tomorrow night. Just listened to Dream Theater’s new single “On The Backs of Angels” from their upcoming September album “A Dramatic Turn of Events”, their first without Mike Portnoy. Mike Mangini does an adequate job with Dream Theater’s complex rhythms and time signatures but his sound is lower in the mix than Portnoy’s used to be, and the drums have less presence. Don’t know if this intentional or otherwise. It has the side effect of allowing the other instruments to come through better, especially the bass. The song seemed fairly derived to me. I heard echoes of Scenes From a Memory and Six Degrees here, and the riffs sounded almost recycled. 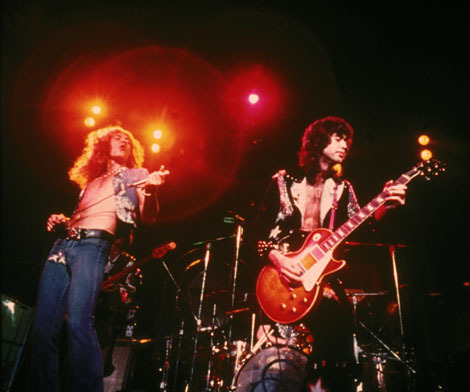 The most lyrical and soaring moments come in the slow sections, where Petrucci shines. Overall the sound is instantly recognizable as Dream Theater, which may have been what the band was going for, and there is hardly a lack with Mangini’s replacement of Portnoy, but the sound is beginning to get tired. it’s really time for DT to get to the woodshed and summon their muse. Other songs on the album may be better (this is the single, after all), so I won’t carve judgment in stone, and of course I’ll see DT when they come to town, but after listening to this track twice, I was left feeling vaguely unsatisfied and wondering why. 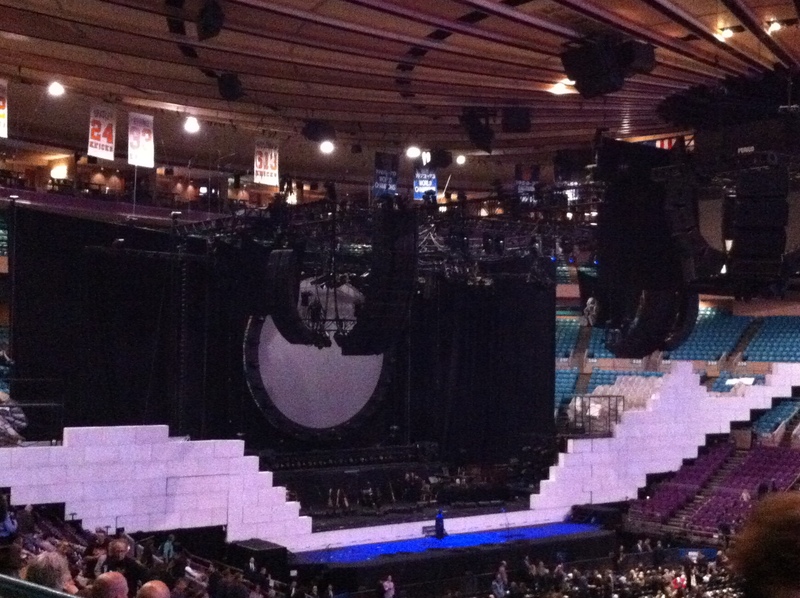 Roger Water’s THE WALL at Madison Square Garden last night (Wednesday) was jaw-droppingly awesome. 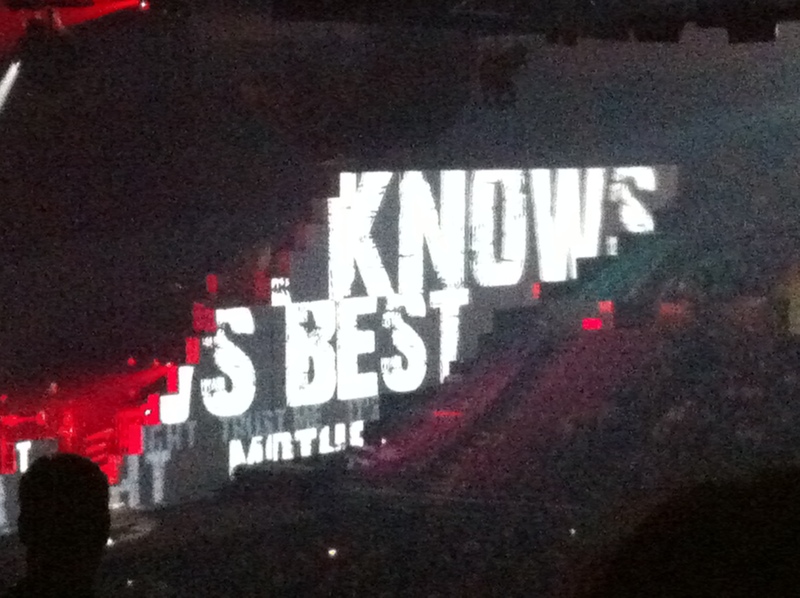 Probably the best stage presentation by a rock band that I have ever seen. 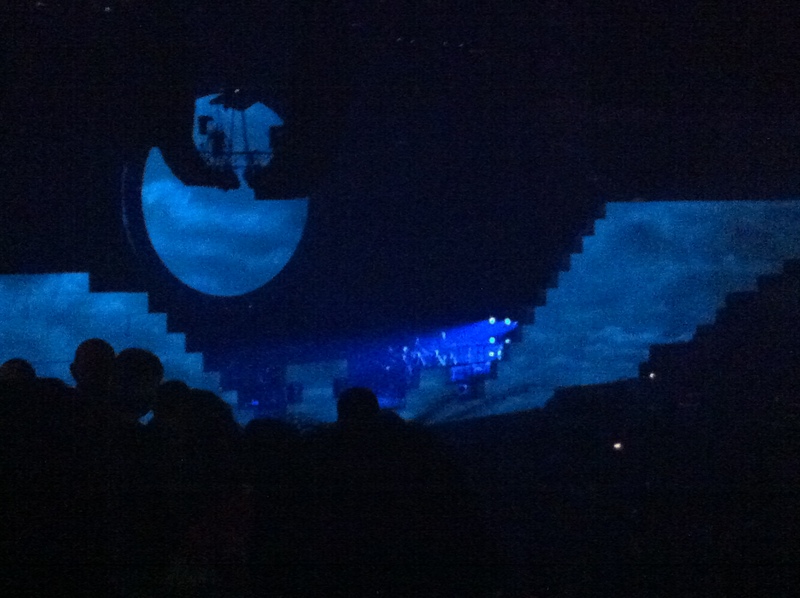 Music was impressively tight and articulate around the arena and the lighting and stage effects and props were magnificent. 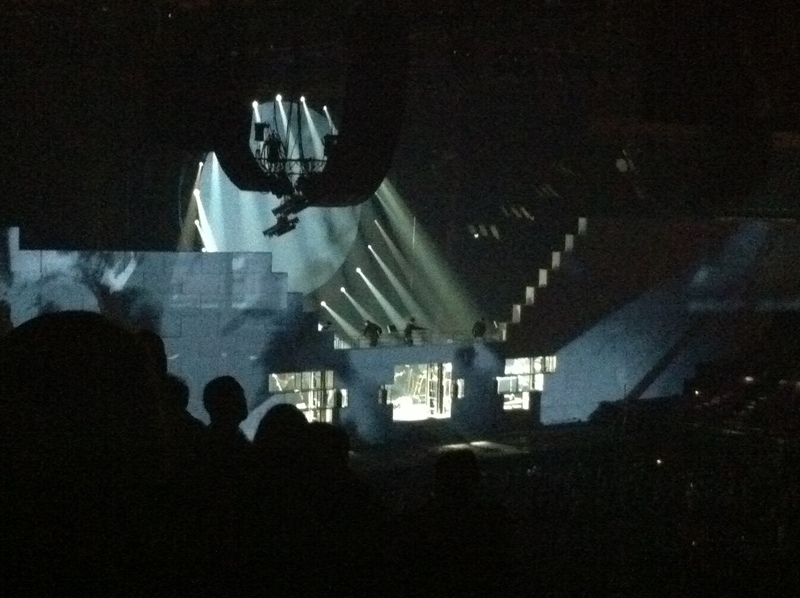 The show began with the band behind an already half built wall of white “bricks”, the center area still unbuilt to provide a view of the band. 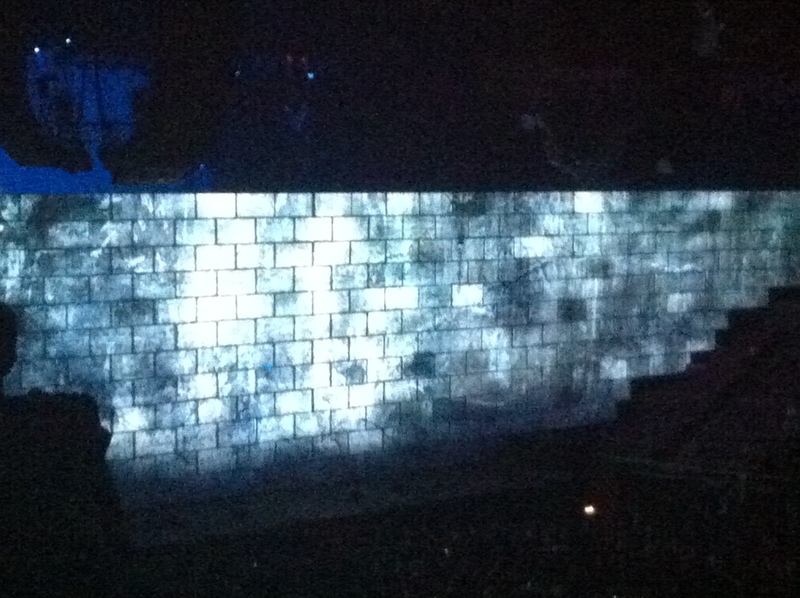 As the songs unfolded, the wall was built up brick by brick, until, by the intermission, it was a towering wall at least 30 feet high. 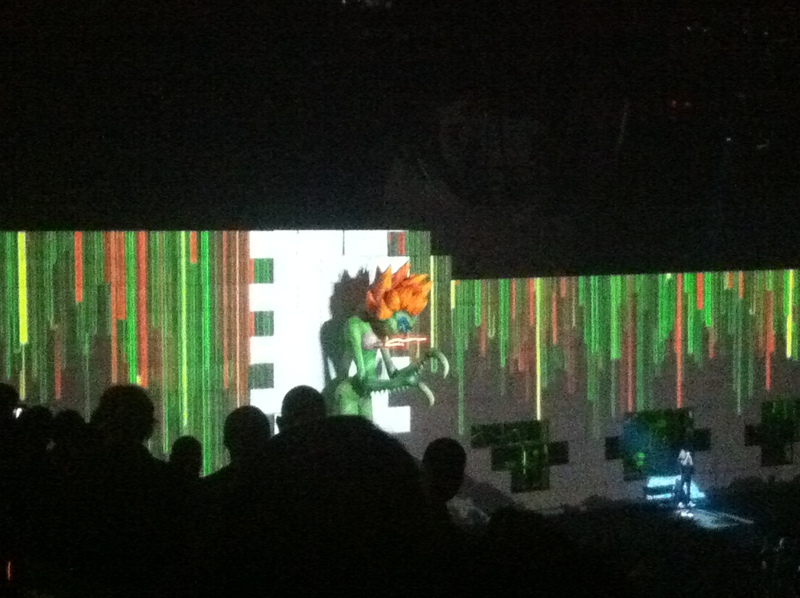 Occasional openings provided opportunities for Waters to emerge for special songs like “Mother” and wall proved a superb backdrop for the projections (taken from the movie) that displayed on it. Mind boggling theatrics, including massive pyrotechnics, giant animated puppets, realistic war sound effects and larger than life images on an enormous wide screen (the wall). The finale, where the wall comes crashing down was so realistic that I looked to see if the bricks had actually fallen into the audience. I was hoping that David Gilmour would put in an appearance, but unfortunately, it was not to be. 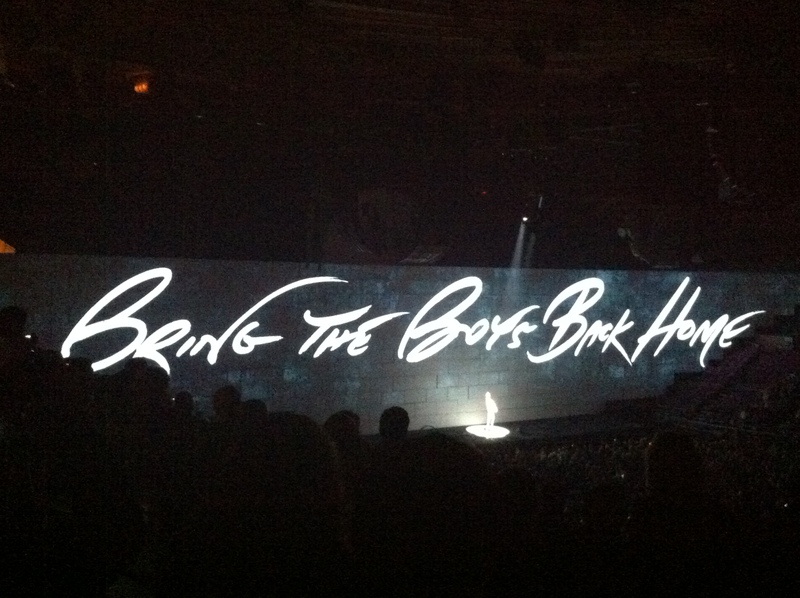 The iconic moment during Comfortably Numb when Gilmour appeared atop the wall to play the solo during the original production 30 years ago was recreated faithfully by Water’s guitar player, and the effect was incredible, lacking only the man himself. Roger’s band sounded good, but the guitar solos, while faithful to the original tracks, lacked Gilmour’s fluid lyrical feel. 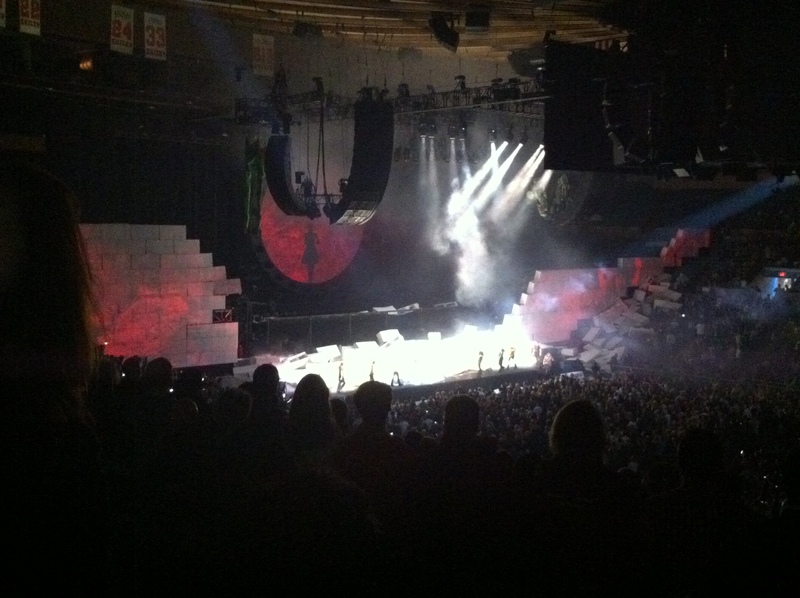 Still, all-in-all, this was definitely not just another brick in the wall. 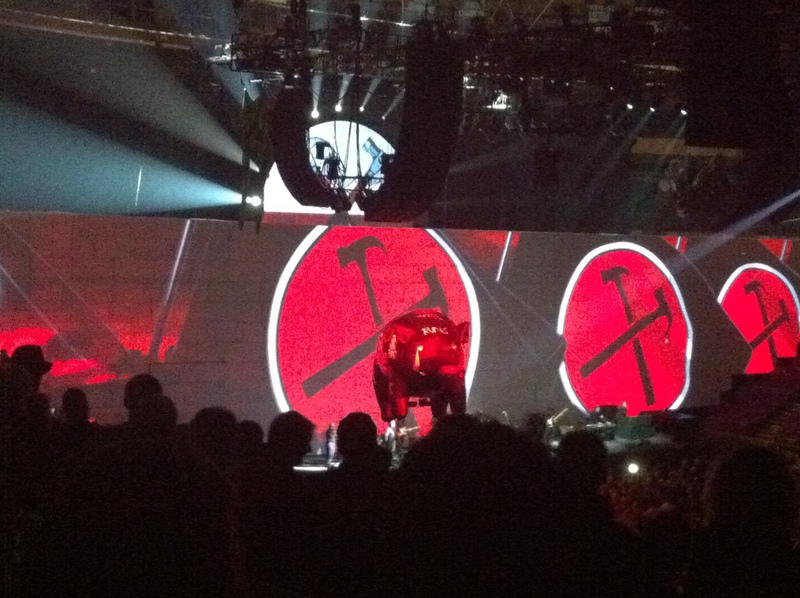 I saw Roger Waters when he toured Dark Side of the Moon some years ago, and while that was good, this was spectacular. Roger’s voice is sounding great. None of that quavery off key stuff he put out at the Floyd reunion in London for Live 8 in 2005. 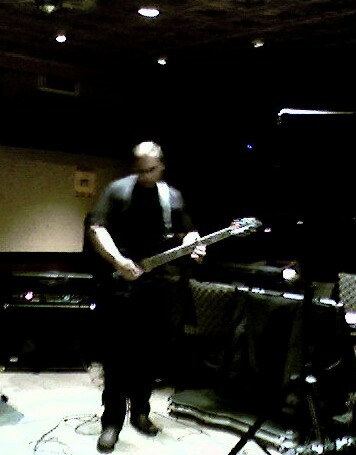 His bass playing is spot on, and he looks confident and assertive, unlike at Live 8. I think hearing his “baby” produced in detail like this has brought out the best in Roger Waters the musician, and in that field he is no inconsiderable talent. I’m posting a few pictures of the show, but I have lots more that need to be indexed, and I’ll be posting them in due course, along with a couple of videos, including “comfortably Numb”. Mother will they drop the bomb?